PJ here. One of my favorite things as a reader is to find a new author who blows my socks off with her debut book but when that happens, it always makes me a little nervous about how much I’ll like her second book. Will I be as enthusiastic or will I suffer the much dreaded second book let-down? You can imagine how over-the-moon excited I was when all three books in Kaki Warner's debut Blood Rose Trilogy were five-star reads for me. 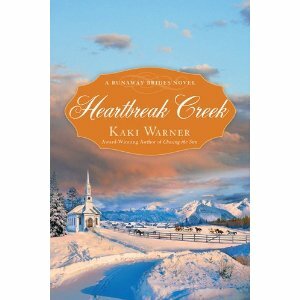 (and Warner went on to be a double finalist and winner in the 2011 RITA® awards) Warner's second series, set in Heartbreak Creek, Colorado has continued to carry her high standard of excellence, drawing readers more deeply into the lives of her characters in the small western frontier town with each book published and earning more awards for Warner, including another RITA® final. With the last book in the series, the highly anticipated story of Thomas and Pru, two beloved characters introduced in Heartbreak Creek, coming out in July, I thought this would be a good time to revisit Janga's 2011 review of the first book in the series, Heartbreak Creek. I highly recommend the entire series and, like Janga, am eagerly anticipating the long-awaited conclusion to a tumultuous journey of love we've now been following for four years. The world that Edwina Ladoux was reared to inhabit is gone. All that remains of the once prominent Whitney family is “a weed-choked cotton plantation sold for back taxes, her father’s watch, and a graveyard full of new markers.” There’s no place for Southern belles in a Reconstruction Louisiana filled with carpetbaggers and desperation, and so Edwina agrees to marriage by proxy to a man she knows only from his ad in the Matrimonial News and the tintype he sent her along with a bank draft and railroad vouchers that will get her to Heartbreak Creek, Colorado. With a mixed bag of memories and her half-sister, Prudence, the offspring of Edwina’s father and a Rose Hill slave he loved but could not marry, Edwina sets out to meet her new husband—and her new life. Declan Brodie has no idea what’s in store for him. A widower who needs, as his ad specified, a “sturdy English-speaking woman to help with mountain ranch and four children,” Brodie finds himself instead with a too-thin beauty whose only skill is sewing and who is ill equipped to care for his uncontrollable children. He’s not too sure of her sanity either, and his attraction to her is making him question his own. In better times, Edwina had worn gowns of lace and satin and brocade. She had adorned herself with costly jewels, rather than a single garnet ring that had once belonged to her grandmother. She had walked down elegant staircases under fine crystal chandeliers that shimmered with the glittering light of a dozen candles. Yet now, as she descended the uncarpeted staircase of the rustic Heartbreak Creek Hotel, dressed in an outdated frock and a borrowed shawl and wearing a simple ribbon in her hair, she felt as shaky and breathless as a debutante headed to her first ball. As Edwina, the displaced Southern belle, becomes Ed, the ranch woman, she falls in love with the Brodie children as well. Just when it seems that happily ever after is within reach, the first Mrs. Declan Brodie reappears. While Ed and her no-longer husband are dealing with this complication, Lone Tree, an Arapaho obsessed with his need for revenge against Declan, proves a more deadly threat to their happiness. Heartbreak Creek is the first book in Warner’s Runaway Brides series, and based on the series debut, I expect the new series to be as stellar as her Blood Rose trilogy. Edwina and Declan are wonderful characters, smart, courageous, and genuine. Each has an interesting history, a balance of strengths and flaws, and a rich sense of humor. Both have their reasons for being wary of marriage, but gradually, through emotional and physical intimacy, they learn to trust and to love one another. Watching them become more together than they are separately is a delight. Warner also includes a colorful assortment of secondary and tertiary characters. In less skillful hands, the Brodie children might have become an inseparable blend of incorrigibility, but Warner makes big brother R.D., trickster Joe Bill, quiet scholar Lucas, and indefatigable Brin distinct and endearing personalities. Pru is perhaps the most compelling among the secondary characters because the reader knows there is so much more to her story than the blend of strength, intelligence, and vulnerability that we see in this first book. Maddie Wallace and Lucinda Hathaway are also fascinating characters, as is Thomas Redstone, Declan’s Cheyenne friend. Add to these some quirky locals, Heartbreak Creek itself (a mining town in danger of becoming a ghost town), and a West where, despite the laughter and tenderness that fill this book, danger—from nature and humans—is real. 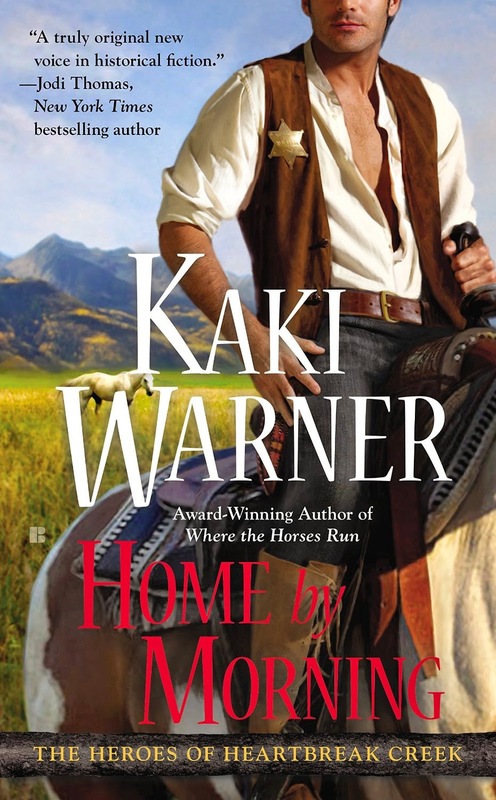 The result is another extraordinary book from Kaki Warner, who may be turning those persistent rumors of a Western romance revival into fact. I have not read any of this author or series. Thanks for the info. Will have to check them out. I highly recommend them, Patoct! I enjoyed the Blood Rose trilogy. I'll have to get caught up with this series. Sounds good! I loved all the books in the Blood Rose trilogy, though Open Country was my favorite. What can I say? Hank stole my heart. Thanks again for the wonderful review, Janga. And my appreciation to PJ for posting it again with her own kind comments. These characters have become a huge part of my writing life by now, and it's gratifying to hear that others like them, too. They've become a huge part of my reading life too, Kaki. Thank you for creating them! I loved Where the Horse Run and have the rest of the series on my TBR list. Think I lost my comment. I wanted to say Thanks for the great review. I've read all of these books and loved them. I cannot wait for Thomas and Pru's story. :).